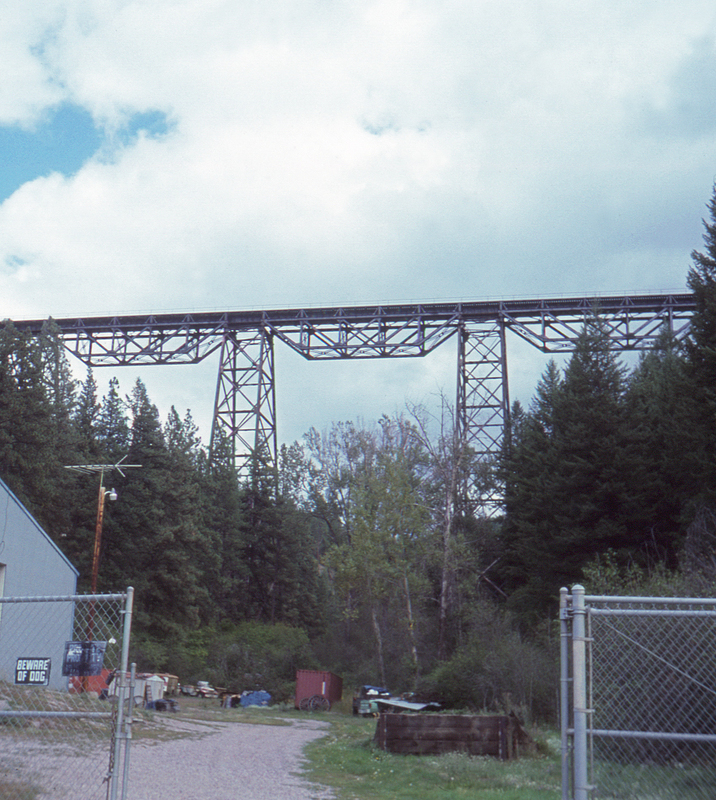 About 10 miles northwest of Missoula, Montana, near Evaro, the Northern Pacific's Evaro Hill line crosses a deep gulch on a bridge over 180 feet high, the Marent Gulch Trestle (sometimes called the Marent Trestle). This was the second bridge built in 1886 and remains in use today. It's notoriously difficult to photograph due to "ground clutter," and this slide is no exception.